With the rising popularity of Pinterest, it seems that every couple is trying to outdo each other with the most "creative" engagement photo shoot – and finally, someone nailed it. 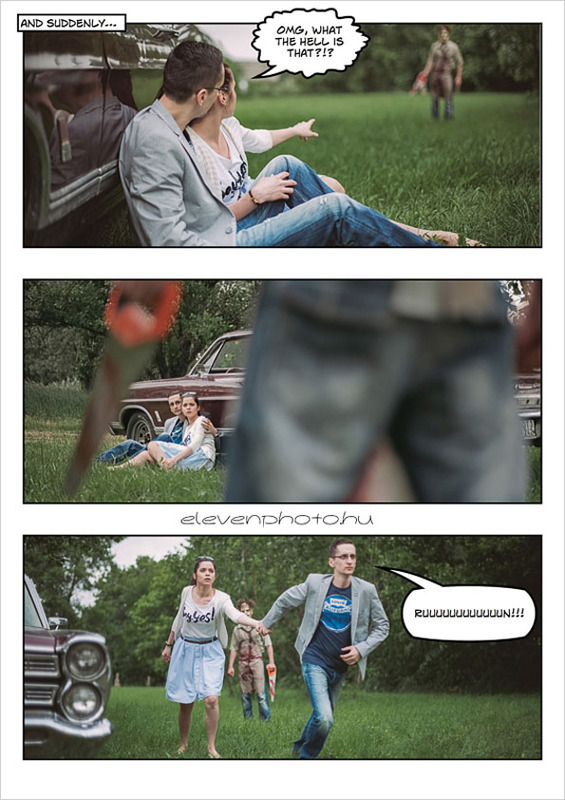 Set up in comic book form, this Hungarian couple decided to get theatric with their photo shoot – complete with a saw-wielding zombie. 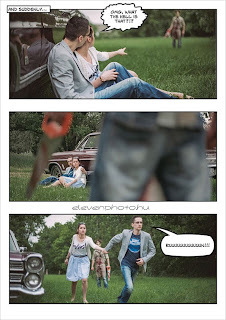 Don’t worry, they end up surviving the zombie apocalypse, and live happily ever after.